In conjunction with Florida’s Orange & Blue Game we of course expect to see a multitude of top prospects flock to see the game in the Swamp. This weekend, Florida will host two official visitors, as well as several top targets and most of their current commitments. The Skinny: Depending on which service you follow, he is listed as either a wide receiver or a safety, so we’ll just call him an athlete. He has tweeted out a top five of Florida, Georgia, Notre Dame, Penn State and Tennessee. He has already officially visited Notre Dame. 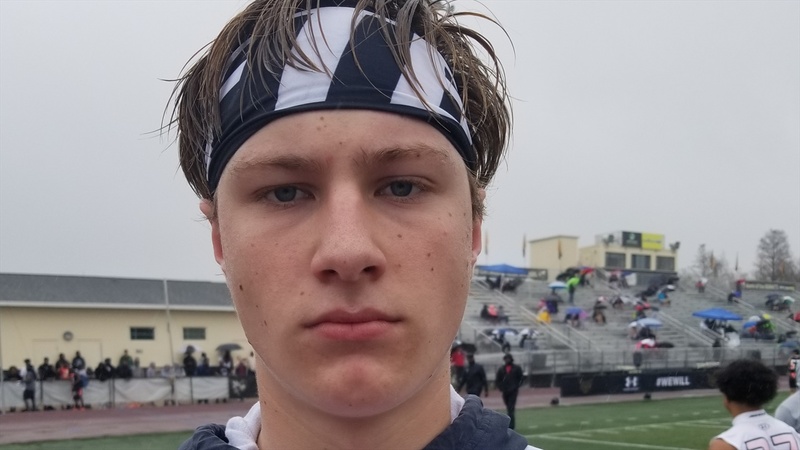 The Skinny: The son of former Florida Gators great Jason Odom, when we first spoke with him at that Under Armour Camp in Orlando back in early February, though he was picking up offers right and left, he wasn't hearing much from Florida and the Gators weren’t a big factor for him. Fast forward a few weeks and by the end of February he visited Gainesville and received an offer from Florida. His offer list certainly is much greater than his current ranking and it wouldn’t be at all surprising if he ended up in the Gators’ signing class eventually. Most of the prospects in the South Endzone will consist of prospects from the next two cycles, but there are still several big name targets from the Class of 2020 that Inside the Gators has confirmed will be in attendance. Wide receiver Marc Britt‍ went back and forth all week before confirming earlier today that he will be in the Swamp. Another in-state four-star prospect, Miami commit, Samuel Anaele‍ will attend with one of his best friends, Florida 2019 signee Wardrick Wilson. One of the hottest names on the trail this spring, athlete Jaheim Bell‍ will join him, as will defensive backs Jahquez Robinson‍, Avantae Williams‍ and Jalen Kimber‍. Peach State linebacker Romello Height‍ and Bayou defensive tackle Jalen Lee‍ are also scheduled. Several Florida commits, including Gervon Dexter‍, Jaquavion Fraziars‍, Avery Helm‍, Jeremiah Johnson‍, Morven Joseph‍, Leonard Manuel‍, Anthony Richardson‍ and Rashad Torrence II‍ from the Class of 2020 and Bryce Langston‍ and Trevonte Rucker‍ from the Class of 2021 are due in as well. Follow along all weekend in the We Chomp Chat for up-to-the-minute updates from the visitors. Is it me, or is this list pretty underwhelming for a spring game? They left off 5 star TE Washington but even with him it still isn't a good visit list. I said that last night and got jumped on for it. The only prospects I put on visit updates are those who we personally confirm. There are those who are scheduled to attend who won't, and some we don't list or even know about who will.